In the past week there has been an outcry about the place of women in science following the comments by Nobel Prize winner, Professor Tim Hunt suggesting the need for sexually segregated labs as women in labs are a distraction because they ‘fall in love’ and ‘cry’ when their work is criticised. His comments raised furore, with both men and women – in science and other disciplines.Sadly, this is not the first denigrative assertion to be made about female professionals, particularly within Science, Technology, Engineering and Mathematics. Sadder still, it probably will not be the last. A friend of ours – a non-scientist – heard about these comments and posted articles on Facebook about the legendary late Marie Curie (1867-1934), the first woman to win a Nobel prize and the only woman to have won it twice. She was famous for her work on radioactivity and in 2009 was voted the most inspirational woman in science. We now have Marie Curie research fellowships which have provided both men and women excellent opportunities to carry out research that have contributed to the development of the science. Aside from Marie Curie, there have been many other female scientists who have made outstanding contributions to their fields such as Mary Somerville, Dorothy Hodgkin, Rosalind Franklin, Alice Roberts and Maggie Aderin-Pocock. Amidst the furore which engulfed the science pages of many newspapers and editorials in the last week, there is a lighter yet important point to consider in this conversation. Many people do meet their spouses or partners at their places of study or work – this is not unique to the sciences. Does it really matter? We know a lot of ‘research couples’, when you spend so much time in the lab or in a work environment, you can get to know your colleagues on a much more intimate level. As long as you remain professional, ‘falling in love’ does not need be a bad thing. Thus, the suggestion that it is a distraction is really far from the truth. 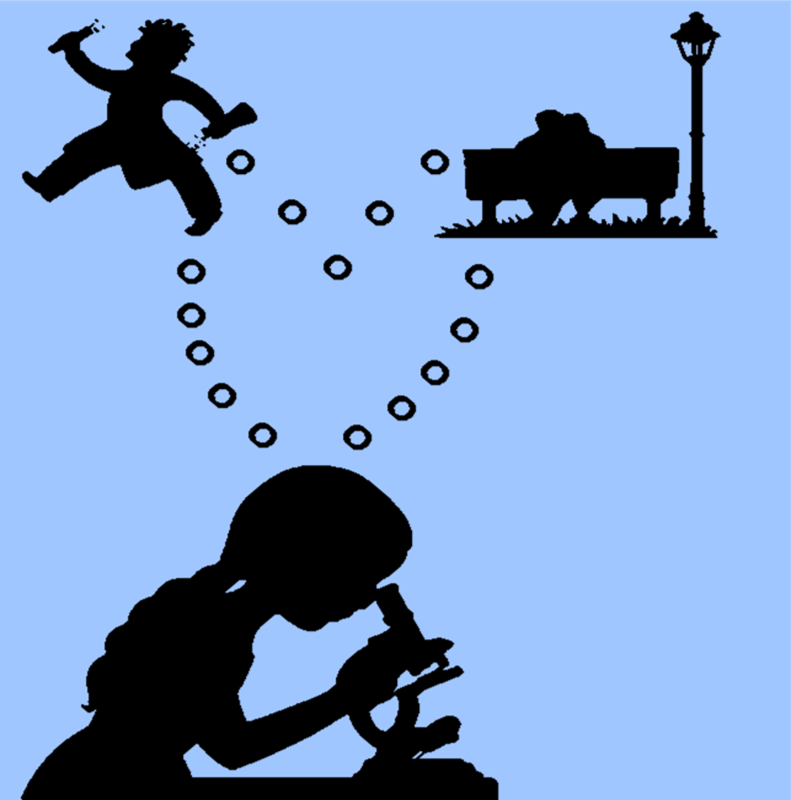 `Falling in love’ in the laboratory environment is not a distraction but rather should be seen as a blessing in disguise as many scientists would not have a hope in Pluto to find partners and spouses because of the demands of the research or science. Perhaps we need to celebrate science unions widely so that it is accepted! Perhaps!! As for the comments on crying!!! The thought of the alternative to crying makes crying possibly a much milder reaction to criticism. Until you learn to deal with it, most of us – male and female alike – do not respond well to criticism. In all disciplines, criticism abounds but we must use it as a tool for growth. There have been scientists, men included, who have resorted to far worse actions following criticisms of their publications, retractions of their publications or failure to get certain grants. For anyone who keeps up with the ‘going ons’ in their field, you will be very conversant with these. Should we now applaud violent reactions or in some cases suicidal tendencies following criticism because crying is for want of a better word, intolerable? At least they cry, come back and try again to succeed which is the basis of research. Who knows! The Marie Curie’s, Rosalind Franklin’s and Sally Davies’s of this world shed a tear or many in the early days of their scientific journeys to the point where they achieved global status but do we remember them for ‘falling in love in the lab’ or ‘crying’? Of course not, thus, the comments should be given the response it deserves, NOTHING!! Whilst we generally lambast the comments alluded to Prof Hunt let’s silently applaud him for saying what he thinks in the open for us all to tackle a much bigger problem of stereotyping and marginalisation of women in the scientific and technical careers. Women have immensely contributed to science and in my opinion, whilst every scientist is not a woman, every woman is a scientist after all women perceive, experience, plan, execute, and manage biological change better than any male scientist. (Open for debate!!). In future posts we will address the real world issues surrounding gender, race and disability in different career disciplines. Disclaimer – If after reading this you find yourself falling in love with someone in your lab or feeling the rightful need to cry when your work faces criticism, please do not hold us responsible, but come back and share your wonderful stories.